The competition feature 21 teams representing 16 different countries. As the host nation, Team Zagreb Snowflakes (CRO) will compete alongside the other nations. Canada, Finland, Russia, Sweden, and the USA will have two competing teams. 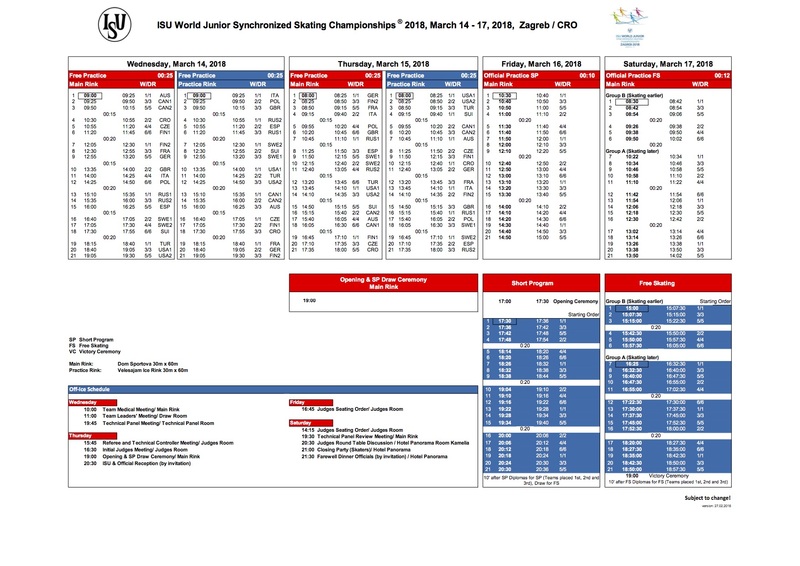 After two days of practice, the competition will start on Friday, March 16 with the short programs. The Opening Ceremony will open the event at 5 PM and the first team will skate at 5:30 PM. On Saturday, the competition will start at 3 PM with the Group B (6 teams). The Group A teams will compete later at 4:25 PM. The victory ceremony is planned at 7 PM. The Russian Team Junost, who skated as Team Russia 2 last year, will defend his title won last year in Canada. But of course, the other team from Russia, Crystal Ice, will be a serious contender. 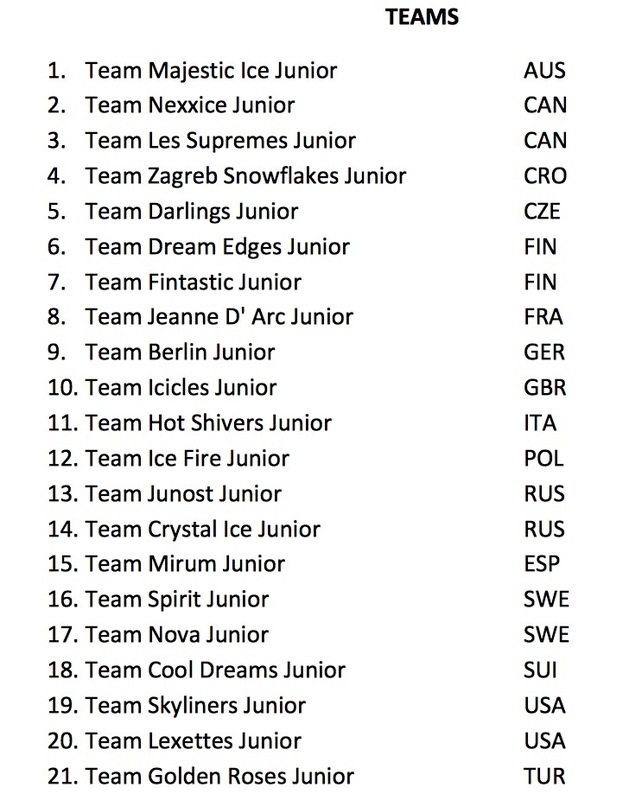 Team Junost is the 2018 Russian champion but Crystal Ice did the best short program. 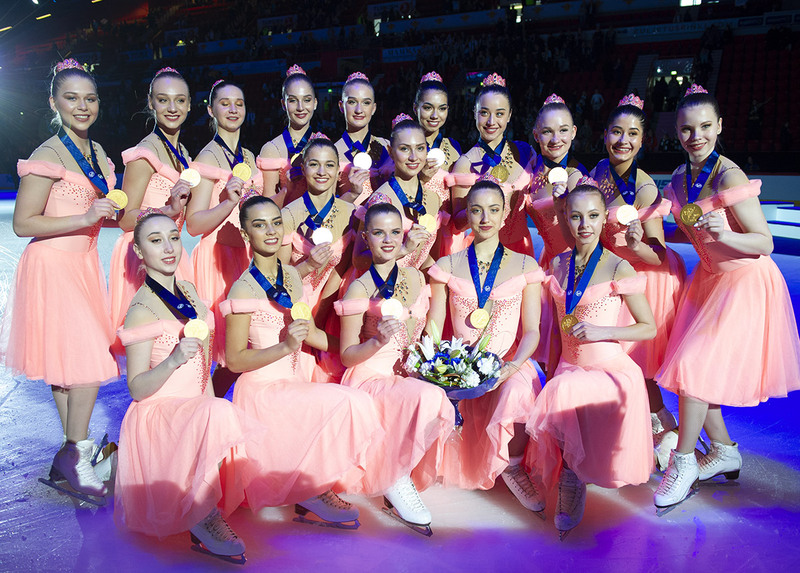 With the silver and bronze titles earned last season, Finland will also give the best this year in Zagreb. The new 2018 champion, Dream Edges, will show its very creative and innovative programs. The public can really look forward the free skate which is called « Escape from the Mental Asylum ». After a few mistakes in the Nationals, Team Fintastic will also probably be ready to skate great performances. The free program to « La La Land » is particularly refreshing. The American teams need also to be taken into account in the medal contenders. Fourth last season by a few one-hundredths of points, Skyliners want to stand on their podium this year. Team Lexettes can also create a good surprise. But remember last season, the Canadian teams were really not far. The two Canadian teams finished 5th and 6th last season in their home country. Les Suprêmes (Team Canada 1) and NEXXICE (Team Canada 2) will be also important competitors as they have this year strong programs. 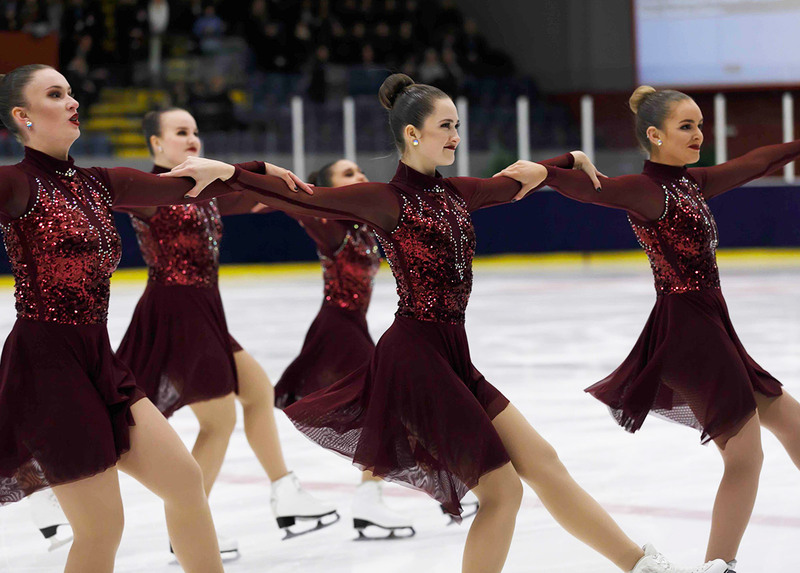 Don’t miss for example the free program of Les Suprêmes skating to a chess theme with black and white dresses. This will be your last chance this season to follow some of the world’s best Junior teams. Stay tuned on Jura Synchro next weekend!